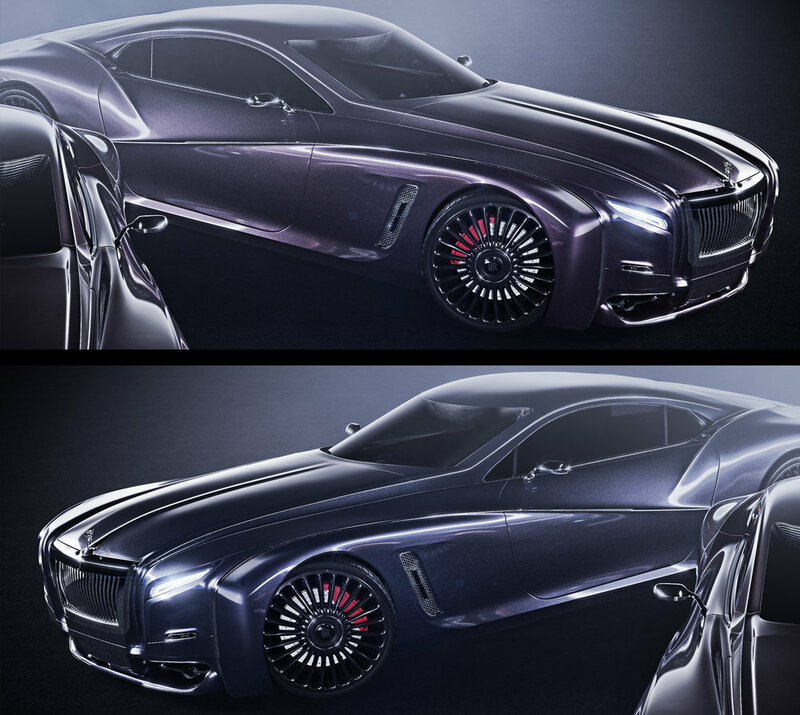 Rolls-Royce Coupé is a personal design concept illustrating a more sculptural execution of the Rolls-Royce aesthetics. 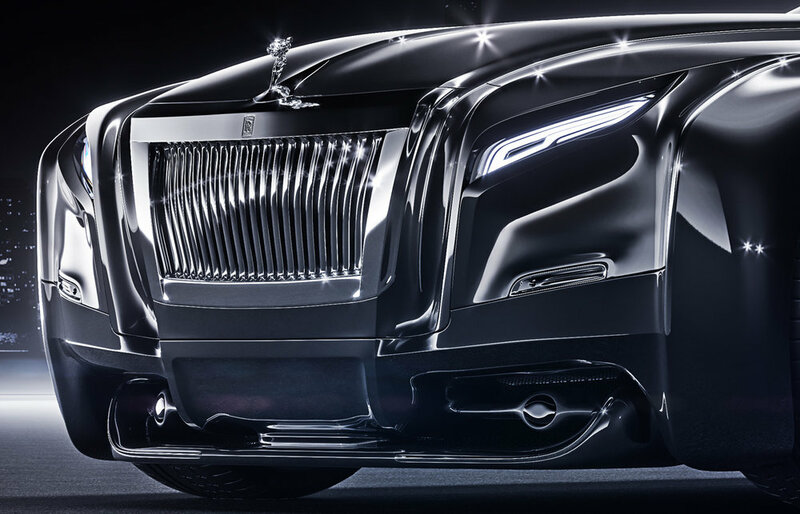 The reasoning behind such aesthetics is the lagging visual advancement over the current Rolls-Royce line that falls behind more agile brands and the concept serves as an example how to introduce more dynamic and contemporary aesthetics while holding onto the famed "presence" aspect of the brand. 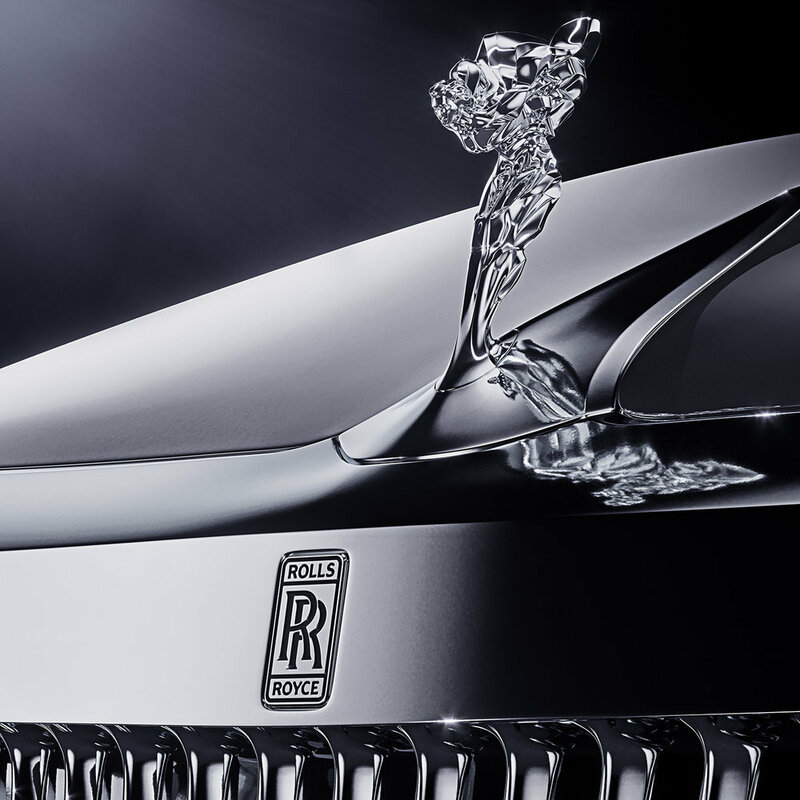 Curved outline of the chassis is inspired by the iconic Rolls-Royce Silver Cloud produced by Rolls-Royce Limited from April 1955 to March 1966. 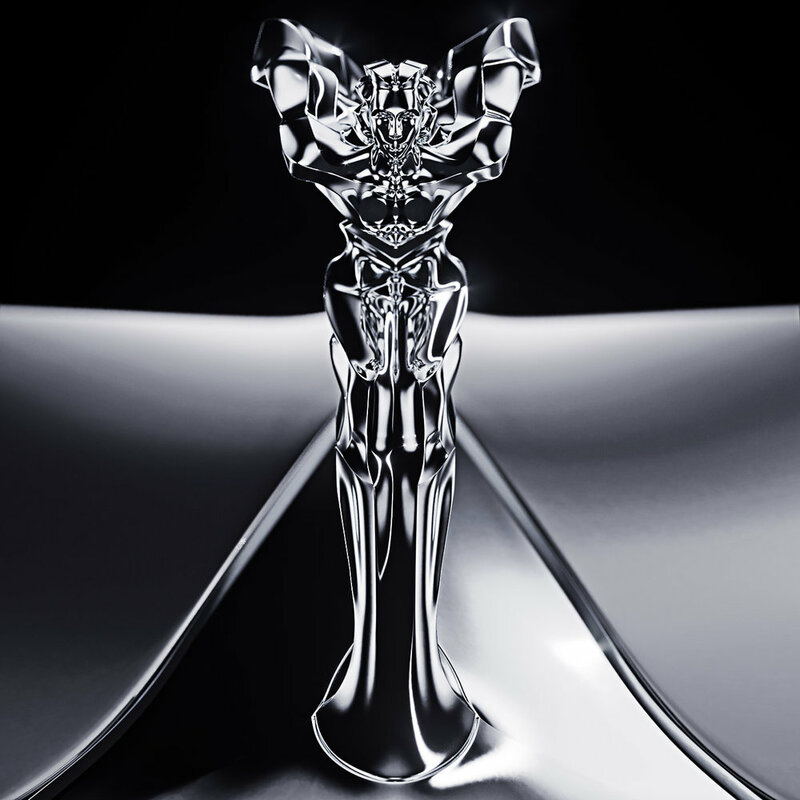 Spirit of Ecstasy was re-designed - or better said, sculptured completely anew with more detail and steered to a more true meaning of a "sculpture" rather than a visual pendant. Clay model images of the Spirit of Ecstasy to illustrate the form more conclusively. 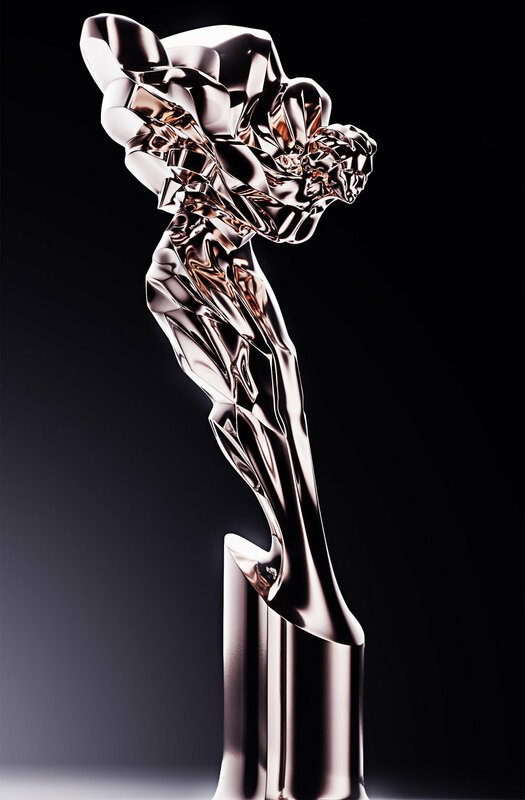 Comparison of the original Spirit of Ecstasy (left) with the re-designed version. Spirit of Ecstasy as a separate sculpture in different material executions.